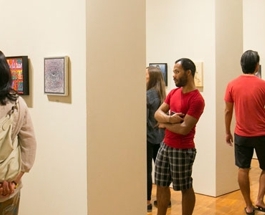 Schedule a tour that focuses on the galleries of your choice—from ancient art to contemporary, East, West or traditional arts. You may select the galleries of your choice on the tour request form. Individual students may also visit the museum for free on class assignments. Please submit your class roster and have your students check in at the front desk.